Ramona M. (MacDonald) Parker, 90, of Hudson, passed away peacefully surrounded by her loving family on Saturday, October 27, 2018, at Beaumont Rehabilitation and Skilled Nursing of Northborough, after a period of declining health. She leaves behind her beloved husband of 68 years, Alan K. Parker, whose devotion to her remained constant throughout her illness. Ramona was born in Watertown, MA, the only child of the late Wilfred L. and Marion MacDonald. She spent most of her childhood in Watertown, but later moved to Hudson, Ma with her family in 1943 and attended Hudson High School, where she met the love of her life Alan Parker. 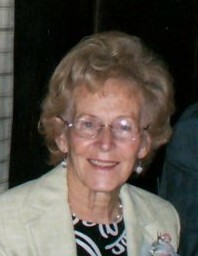 Ramona served as a class officer and graduated in the class of 1945. On January 29, 1950 Ramona and Alan embarked on a 68-year marriage of love, dedication and happiness together. Ramona worked for many years as an administrative assistant for the town of Hudson Public Schools. Ramona spent a life time volunteering and serving others in her community. She was a member of the Hudson Women’s Club, a volunteer driver for the American Cancer Society, and also at Our Father’s Table food pantry in Marlborough. Ramona was very proud of her Scottish heritage and had enjoyed visits to Prince Edward Island, where many of her relatives still reside. Music was an important part of her heritage and upbringing; she once said that she couldn’t imagine a day without music in it. She was gifted with an ability to play the piano beautifully, albeit humbly, and found both pleasure and relaxation in private moments at the piano. Ramona’s greatest love was for her husband and her family. She was a devoted wife, mother and grandmother, always present to help, care for and nourish her family. Her love was sweet and boundless and will forever be remembered and cherished by those it touched. In addition to her beloved husband, Alan K. Parker, she also leaves her four children, Brian A. Parker and his wife Carol of Marlborough, MA, Robin J. Brissette and her husband Robert of Boylston, MA, Barry M. Parker and his wife Nancy of Hudson, MA and Randy K. Parker and her fiancée Alfred Botelho of Hudson; four grandchildren, Blair R. Brissette and spouse Heather of Boylston, Ian M. Brissette of N.J., Ryan G. Parker of Colorado and Sean A. Parker of Brighton, MA and two great-grandchildren, Isabelle Brissette and Colin Brissette. Relatives and friends are invited to a period of calling hours from 9:00 am until 11:00 am on Wednesday, October 31, 2018, immediately followed by a funeral service at 11:00 am at TIGHE HAMILTON REGIONAL FUNERAL HOME, 50 Central St. Hudson, MA. Interment will follow at Forestvale Cemetery in Hudson. The family wishes to sincerely thank the staff of Beaumont Skilled Nursing Facility, and especially the Salmon Hospice nurses and staff, for the care and compassion shown to Ramona throughout her illness.